Have a Water Leak? At The Clog Dawg, We Use The Best Technology Available to Find And Repair The Leak. Maybe you’ve noticed your water bill slowly increasing over the past few months. Or maybe you’ve noticed obvious pools of water in your floor, carpet, yard, or even your ceiling. 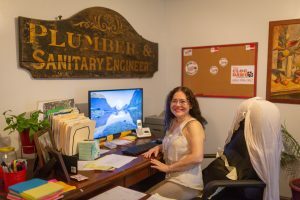 If you notice unexplainable pools of water and increasing water bills, you need to call The Clog Dawg today. Quickly locating a hidden leak can save you thousands in potential damage. You can click here to request a bid for our Atlanta area leak detection services. 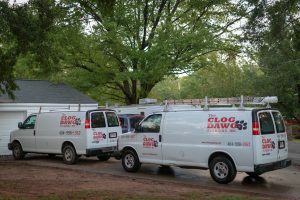 The Clog Dawg offers an expanded array of leak detection services to meet the needs of even the toughest plumbing problems. 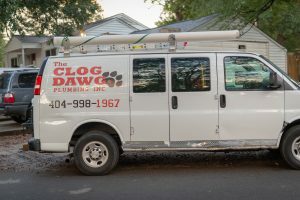 Using the latest plumbing technology, The Clog Dawg can perform underground leak and line detection as well as main sewer line clean outs. Video cameras mounted on cables are used to thoroughly inspect the inside of drain lines and photographically show the location and cause of a clog. This allows The Clog Dawg to provide the best plumbing solution at the best price. 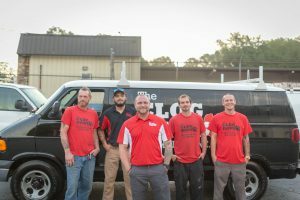 The Clog Dawg’s plumbing experts want to make sure your plumbing problems are resolved the first time for a long time and not just perform an easy repair for the short-term.